Fire extinguisher classes and trainings are an essential part of fire safety. A fire can start at any point and devastate the lives of many. Because fires can lead to anything from property damage and loss of revenue to injuries and fatalities, it’s always best to prepare before one occurs. There’s a lot to know about a fire extinguisher before you’re ready to use one. If you know what to do in the event of fire, then you can protect your building and the lives within it. That’s why fire extinguisher classes could go a long way for you and your employees. Fire extinguisher classes can help you fully prepare for a potentially dangerous situation. 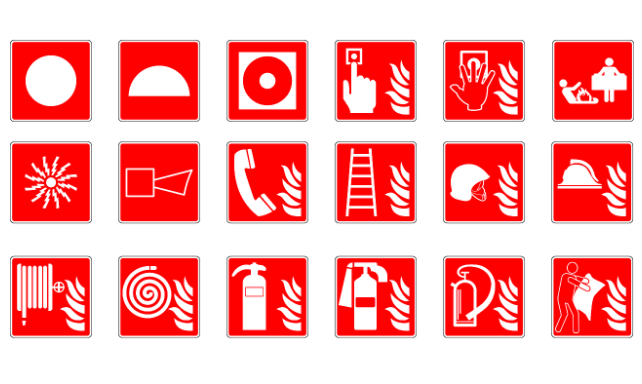 Below we will cover the main subjects that you’ll learn in a fire extinguisher training. Not only can a fire extinguisher save lives, but it can also prevent damage to property. However, if you use the wrong fire extinguisher, it could make the fire worse and lead to disastrous repercussions. That’s why you should know what each fire extinguisher Class is used for. Class A: use these fire extinguishers on common fires, typically started by wood, paper, debris or rubbish. Class B & C: these extinguishers can be used on fires that were ignited by chemicals, such as cleaning solutions, grease or oil. Class D: for fires that were started by metallic compounds, like those found in industrial or manufacturing plants, you can use these fire extinguishers. Class E: electrical fires will require this type of extinguisher in order to counteract the electrical origin of the fire. Class F: you can use these extinguishers for kitchen fires that involve grease or oil. Make sure you know where the proper location for a fire extinguisher is, then share this with everyone in the office or building. The best place to store a fire extinguisher is in an easy to reach, dry spot near the doorway, hallway or stairs. It’s important to look for potentially risky areas to know where to place the extinguisher. For example, if you have a kitchen, then you should place a Class F fire extinguisher nearby in case of kitchen related incidents. Or if you have electric powered equipment, you should place a Class E extinguisher nearby. During fire extinguisher classes, a fundamental part of the training is to learn how to operate a fire extinguisher properly. Check out our blog, How to Use a Fire Extinguisher for more on the proper operation techniques. It’s important to know when you should attempt to contain a fire and when it’s time to evacuate. If a fire starts to spread rapidly, then it’s definitely time to get out of the building quickly. If a fire seems small and manageable, then would be a good time to use the right fire extinguisher. Fire extinguisher classes can benefit your building immensely and they shouldn’t be taken lightly. Through proper training and practice, your building should be fully prepared to handle a fire. That’s why you should contact a fire protection professional to ensure you’re prepared and equipped with the right devices. Frontier Fire offers the top fire protection services in the Denver, Fort Collins, Colorado Springs, Rifle and Salt Lake City. Give us a call today to fully protect your building.